It’s a bittersweet time to be an X-Files fan. The FOX series’ 11th season premiered on January 3rd, but star Gillian Anderson has said it will be her last. Anderson has played the show’s co-lead, Dana Scully, since the sci-fi drama debuted in 1993 and has been part of every season. David Duchovny, who plays Fox Mulder, didn’t appear in all season eight and nine episodes of the original run. 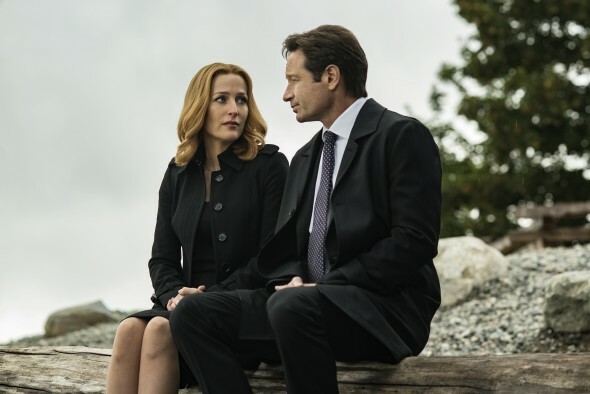 In the latest season, Anderson and Duchovny are joined by Mitch Pileggi, William B. Davis, Annabeth Gish, Bruce Harwood, Tom Braidwood, and Dean Haglund. As of now, FOX has not renewed the series for a 12th season, but would you watch without Scully? Without Mulder? Tell us what you think. Mulder and Scully had great chemistry but seems like it was over between them anyway before Season 11. I wouldn’t mind a Fox Mulder and Diana Fowley reunion. What the heck how about the return of John Doggett and Monica Reyes? I’d still love the show anyway. Ok, being on the “4th network”, FOX, and being old; I seriously thought this series was reruns of the first one. I mean, the ending was pretty much the ending. No one saw that sequel coming! So I caught the last few (two) episodes, realized it was a NEW series and NOW you tell me Mulder and Scully are leaving? So we are left with the “smoking guy” and the Insurance commercial guy? So no, with out them, I’d never watch. The show won’t be the same without Mulder or Scully, period!!! However, if they could come up with new agents who have the same connection that Mulder and Scully have. I agree, the writing needs to be really good and of course, we need the otherworldly aspect. I agree with Bill B. Let new agents take over the X-files. It depends on the writing. I love Mulder & Scully but if the series continues with well acted and well writen episodes I would keep watching. It never was broken over the last /old episodes, don’t fix it. Lose Agent Einstein but leave Mulder and Scully to carry on. No, they are the show. I still want to see Mulder in it. I love the comedic episodes. I would give it a chance with other actors. I would definitely watch the X-Files as it is a break through show even if Scully does not return. Keep Mulder and Scully. It wouldn’t be the same without them! Hmmm I would certainly miss Scully. I could watch Mulder alone but he needs someone to play off of. And not just anybody will do. It would be very awkward. … it would need some kind of a Scully-esque person. And how are they gonna exit Scully? Have her disappeared and Mulder have his quest be the search for Scully. Gonna have to think on that a bit…would Chris Carter allow Mulder to search for Scully find her deceased and then partner with someone new? Hmmm. ???? It just wouldn’t be the same without those 2, the chemistry is great !! !